The Lethbridge Military Museum - Celebrating the rich military history of Lethbridge and area. 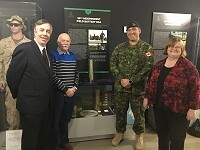 The Lethbridge Military Museum’s Mission is to promote and exhibit to the public the rich military history of Lethbridge and area from 1899 to the present. We hope this, in turn, will lead to a better understanding of our community’s military contribution to the preservation of world peace and security. for well over 100 years. Many in the community are unaware of just how significant it has been. 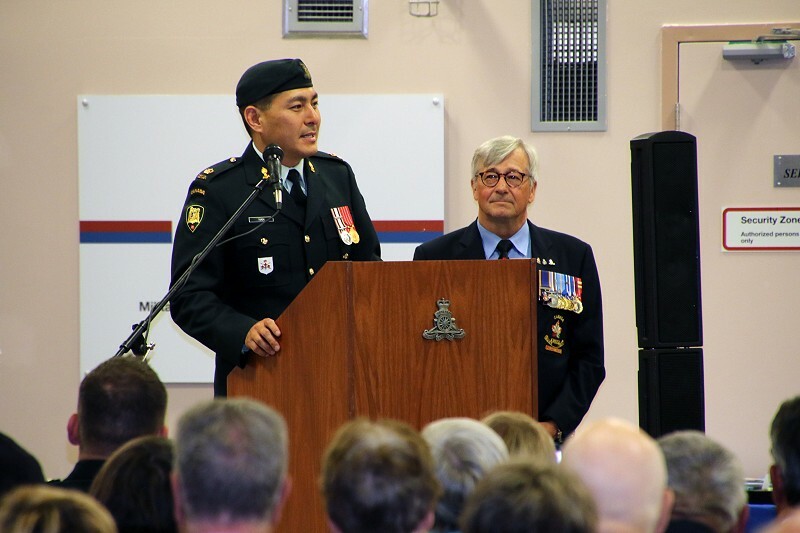 Indeed, soldiers, sailors, and air persons from Lethbridge and area served in the Boer War, two world wars, the Korean conflict, and both peacekeeping and peacemaking missions throughout the world and most recently, Afghanistan. Come out and visit the museum. 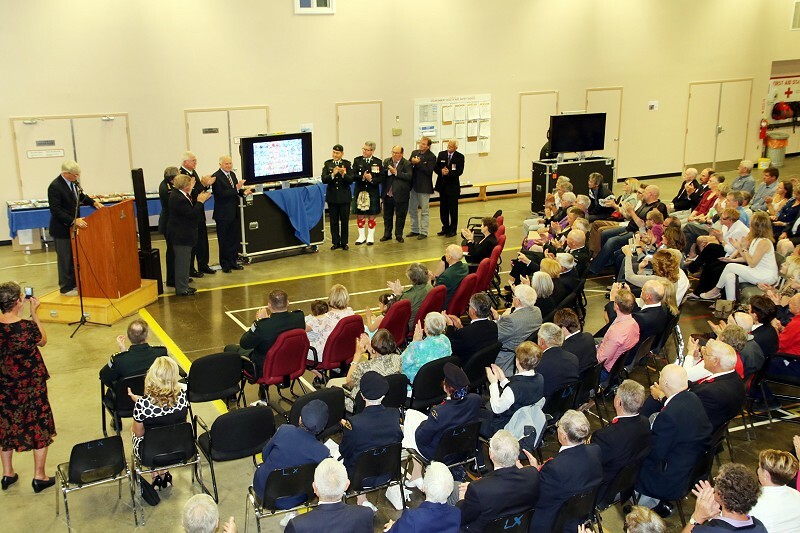 It is their story and a city’s story – on the home front and the battlefields through our nation’s history. To encourage viewing and knowledge of the Museum admission is free. Donations, however, are gratefully accepted. The Museum is located in the Vimy Ridge Armoury located at the Lethbridge Airport, 337 Stubb Ross Road. Mr. Leon and Mrs. Kemp present a 105 mm shell casing which had been fired at the 100 gun salute for the Lethbridge Centennial in 1985. Receiving the donation on behalf of the Museum were Major (Ret'd) Don Graham and Major Nicholas Barber Commanding Officer of the 20th Battery. 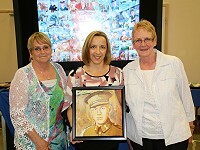 The Lethbridge Military Museum's "Mural of Remembrance" was officially unveiled on 9 June 2017. 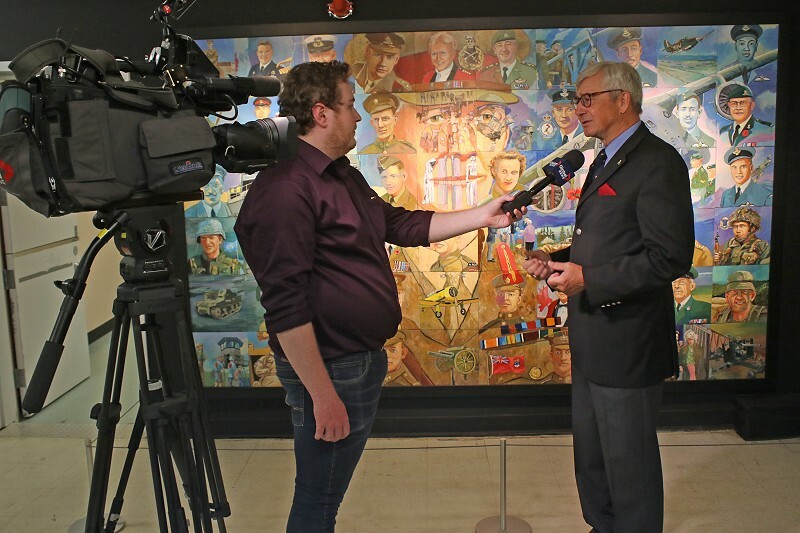 A media scrum was held on 6 June 2017 to publicize the "Mural of Remembrance" unveiling which then took place on 9 June. 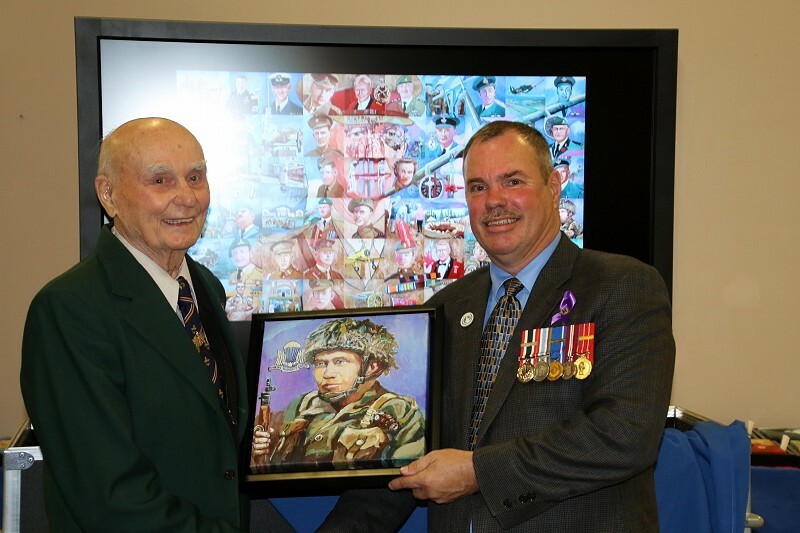 World War Two vet Mr. John Ross is presented with a copy of his "Mural of Remembrance" portrait by Lethbridge United Services President and Lethbridge Military Museum Committee member Mr. Glenn Miller. Major Howard Han addressing the "Mural of Remembrance" unveiling audience. 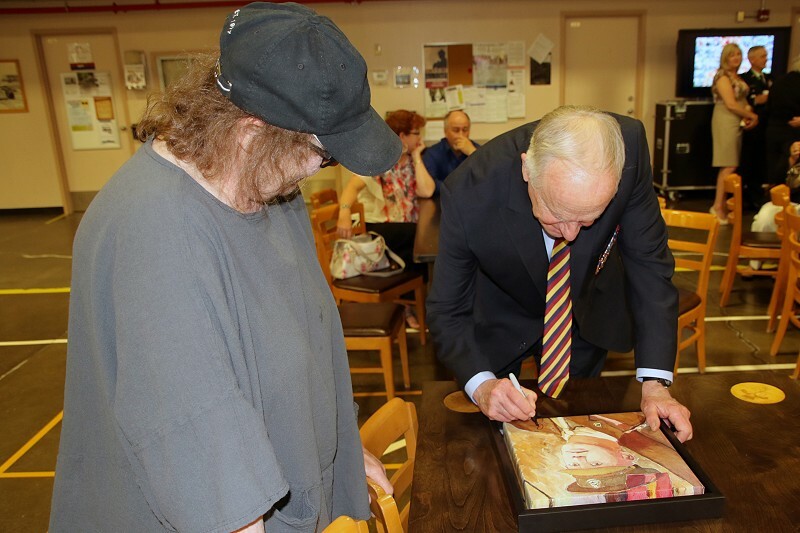 Sandra Balcovski looks on as artist Bill Bewick signs the portrait of her grandfather who served in World War 1. 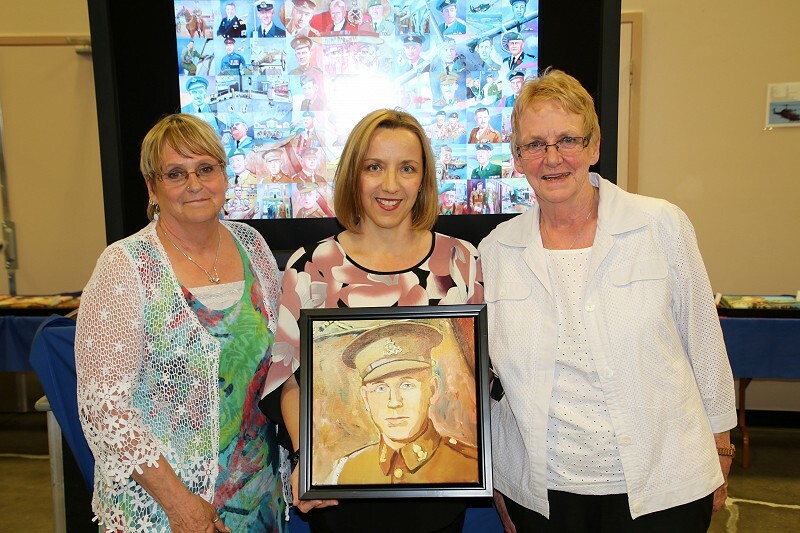 Charleen Davidson, Executive Director of the Community Foundation of Lethbridge and SW Alberta presents a "Mural of Remembrance" portrait to Mrs. Linda Gallant and Mrs. Diane Petersen daughters of Regimental Sergeant Major Bill Shirley who served in World War II. 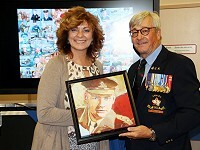 Suzen Dalke accepts the portrait of her father Captain Don Dalke who served in the Korean Conflict. 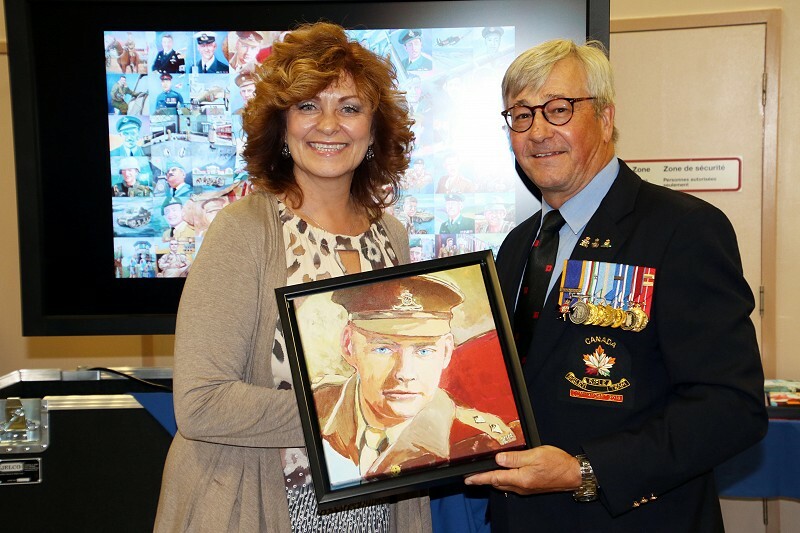 General Stewart School Principal, Mr. Dieter Witzke, presents Mural of Remembrance portrait of General J.S. Stewart to the school. Volunteers are the greatest asset of any organization. Persons willing to assist the Museum or supervise during Museum opening hours should phone telephone number 403-929-4265. 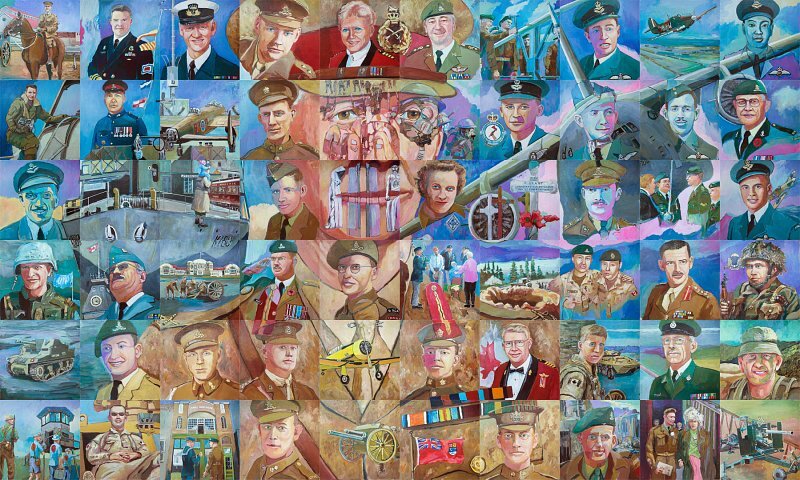 To celebrate the Veterans of Lethbridge and area a compelling 6’ X 10’ Mural, now called the "Mural of Remembrance,"has been painted and housed in the Lethbridge Military Museum. The "Mural of Remembrance" was officially unveiled on 9 June 2017. 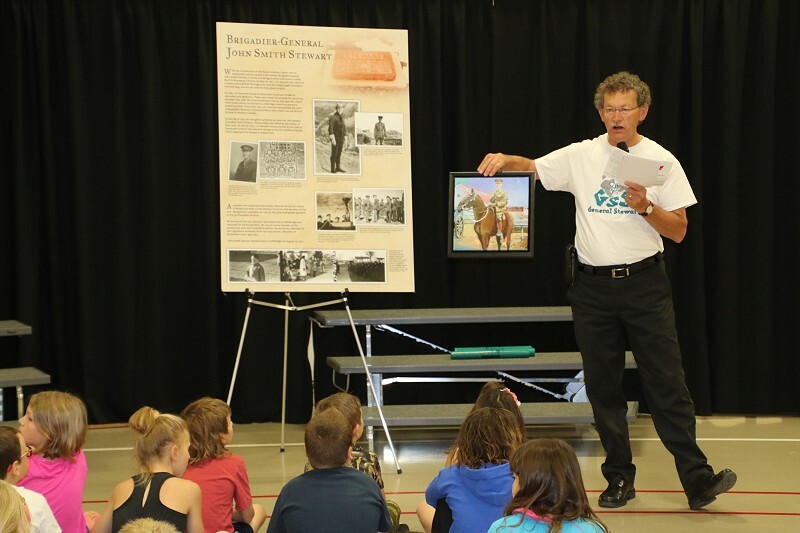 The artist, Mr. Bill Bewick, from Calgary was present and participated in the ceremony. 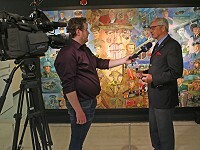 The Mural highlights Brigadier General J. Stewart, HMCS Lethbridge, and a 429 Squadron (City of Lethbridge) C-17 aircraft and is composed of 60 12"X12" portraits and scenes. 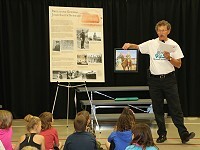 These portraits and scenes allow 60 stories to be told on an interactive computer all of which relate to the military history of Lethbridge and area. 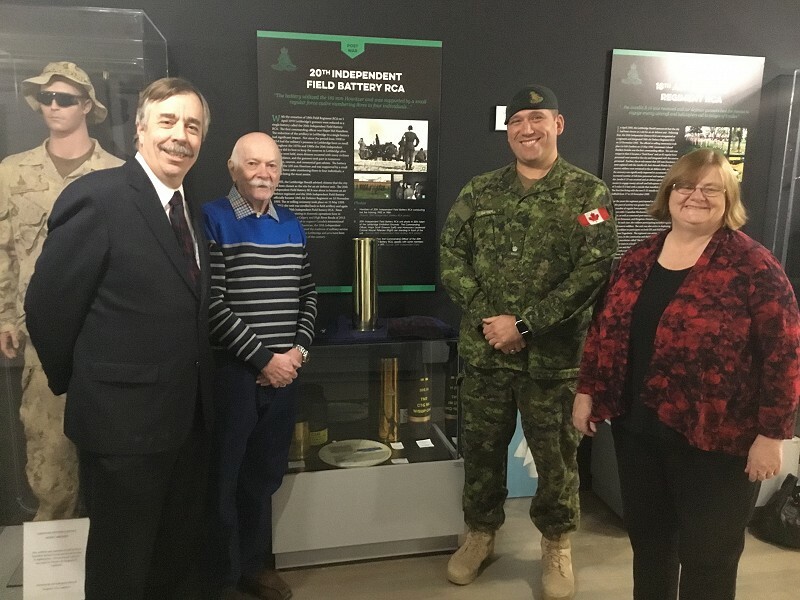 The Lethbridge Military Museum is governed by the Lethbridge Military Unit Senate Association which is a registered society under the Government of Alberta Societies Act. 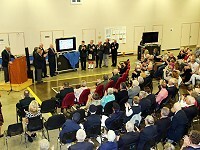 One of the objects of the society is to foster interest in military history. 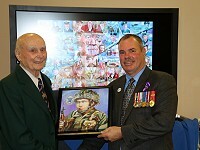 The current Chairperson of the Association is Honourary Lieutenant-Colonel Rick Casson a prominent citizen of the Lethbridge area and former Member of Parliament for the Lethbridge riding. 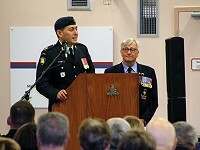 Responsible to the Lethbridge Military Unit Senate Association for the development and running of the Museum is the Military Museum Committee.